This week’s No Huddle podcast features three writers from AllGreenBayPackers.com, Jason Perone (@JasonPerone), Adam Czech (@AdamCzech) and Chad Toporski (@ChadToporski). Hear who the guys think stood out most in the Packers’ first win of the 2013 pre season. How good can Eddie Lacy and the Packers running game be? Making their return as weekly show segments are Adam’s Stock Report and Kris Burke’s Game Balls & Lame Calls. See who made the lists and why. Who is back from injury? Why will Mason Crosby be the Packers kicker come week one? Why can’t we seem to stop talking about Donald Driver’s take on Greg Jennings’ issues with Packers quarterback Aaron Rodgers. Marques Eversoll revisited his Top 10 Training Camp Topics and we break them all down. Chad discusses how some of the third year players are primed to break out and how some may never turn into what the Packers had hoped. And how big of a deal is this week’s upcoming “rematch” against the Seattle Seahawks? Join No Huddle Radio and get your answers! Listen using the player below or download the podcast from the Packers Talk Radio Network on Itunes. Join the writers at AllGreenBayPackers.com for a fast hitting discussion of all things Packers. 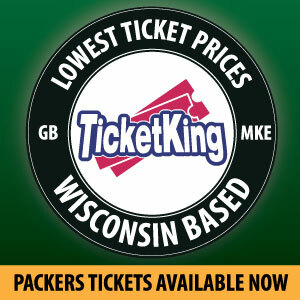 Please be sure to visit ALLGREENBAYPACKERS.COM, where we are “All Packers All the Time.” You can also browse Packers Talk Radio Network for more Packers podcasts from the best Packers bloggers on the internet. Jersey Al Bracco is the co-founder and editor of PackersTalk.com. He can be heard as one of the Co-Hosts on Cheesehead Radio and is the Green Bay Packers Draft Analyst for Drafttek.com. This entry was posted in No Huddle Radio, Packers 2013 - 2014 Season and tagged ALLGBP.com, Interview, NFL, No Huddle, No Huddle Radio, Packers vs Rams, Podcast, preseason, Radio. Bookmark the permalink.